did danielle smith’s wildrose peak too early? 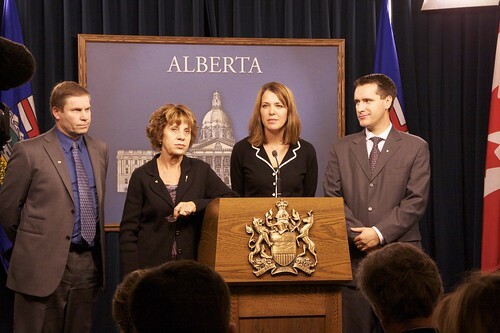 Wildrose leader Danielle Smith and Wildrose MLAs Paul Hinman, Heather Forsyth, and Rob Anderson in January 2010. With the departure of Premier Ed Stelmach soon upon us, and the Tories choosing a new leader this fall, has the wave that carried the Wildrose high in the polls in 2010 crested in 2011? In 2010, the Wildrose benefited greatly from a number of high-profile Tory defections. Convinced they were riding the next wave after a narrow by-election victory in a Tory stronghold saw Paul Hinman return to the Assembly, floor-crossing Tory MLAs Rob Anderson and Heather Forsyth joined Danielle Smith‘s party in January 2010. The next month, the Wildrose were riding higher than the Tories in public opinion polls. Soon after they were joined by former PC organizer Hal Walker and banished former Tory cabinet minister Guy Boutilier. Rumours of more Tory defections were spreading like wildfire. The high tide that was 2010 for the Wildrose led to a much more reality-based and sober 2011. Without the weather vane that was the unpopular Premier Stelmach, Ms. Smith’s Wildrose will be facing a new Progressive Conservative leader in the next general election. Mr. Leask is now supporting former Finance Minister Ted Morton‘s bid for the PC leadership. A number of other Wildrosers are said to have returned to the Tories to support Rick Orman‘s leadership bid. Is the Wildrose an “anti-grassroots movement?” This is difficult to confirm, but evidence suggests that the party has handled internal disputes with a heavy-hand. 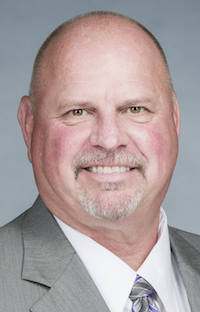 Conflicts with the central party over the candidate nomination process led to the resignations of members of the board of directors in the Medicine Hat and Little Bow constituencies. Some disgruntled Wildrose supporters have put the blame on professional political operatives like Vitor Marciano, while others have complained to this blogger than MLA Mr. Anderson is “micro-managing” party affairs. While much of the Wildrose’s future depends on who becomes the next leader of the PC Party, the high hopes of competing tête-à-tête with the PCs in the next general election may be dashed. The Wildrose have begun trending below the Tories in more reputable polls and are substantially behind the governing party in fundraising (though they are far ahead of the opposition NDP, Alberta Party, and Liberals). The forecast of forming government anytime soon may be less optimistic, but Ms. Smith’s cadre of disgruntled conservatives appear to have positioned themselves as a permanent fixture on Alberta’s political scene, with the growing possibility that they may form the Official Opposition after the next election. 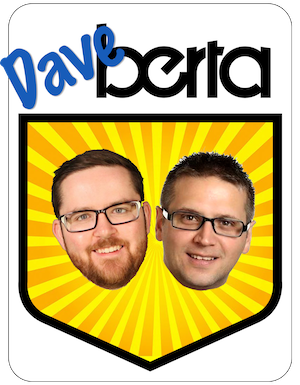 This entry was posted in Alberta Politics and tagged Danielle Smith, Dean Leask, Ed Stelmach, Hal Walker, Heather Forsyth, Paul Hinman, Rick Orman, Rob Anderson, Ted Morton, Vitor Marciano on July 11, 2011 by Dave Cournoyer.